Yes, I know it’s a silly blog title, but aren’t you? Glad, I mean, now that with Halloween almost upon us the holiday season is officially here? I’m not sure if I’m particularly glad about the hustle and bustle with shopping and more traffic, but I’m very much looking forward to the road trips to visit family. “Orange combines the energy of red and the happiness of yellow. It is associated with joy, sunshine, and the tropics. Orange represents enthusiasm, fascination, happiness, creativity, determination, attraction, success, encouragement, and stimulation. Although I personally don’t wear bright orange because my redhead complexion couldn’t take it, I do wear muted shades of orange like peach, salmon, and rust. Fellow blogger and over-50 fashion guru Jodie shares her ideas on orange as a fashion statement. I naturally have surrounded myself with the color orange. My home has two pumpkin-colored accent walls in the kitchen and dining room. My updated white brick fireplace now sports some Autumn decor on the mantle. When we got married 5 years ago, I chose a non-traditional wedding ring that boasts an orange sapphire! An end of summer delta sunset from September. Everything was orange! Of course, a post with the theme of orange would be incomplete without some Fall colors. 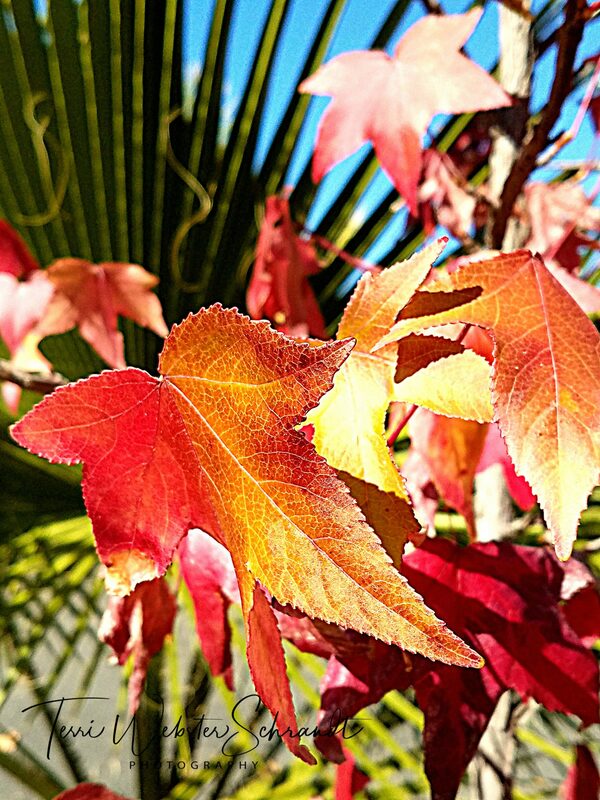 I call this “California Autumn” because of the juxtaposition of fall leaves against the back drop of a palm tree. Show us your versions of orange with your images! Link up below and see what other bloggers are posting this week! Or ping-back to this post so I can share your orange images on Facebook, Twitter and Mix! November’s Sunday Stills themes are now available on my page. BRIGHT REMINDERS OF THE SEASON! Orange is a very happy color, (even though I can’t wear it either.) Your wedding ring is fabulous!! Thanks, Marie, I admire those who can combine challenges! I tried to do a pingback – did you get one? Molly, it didn’t work because you left www. in the url. I didn’t know that! What I did was ‘press this.’ I thought it would automatically do the pingback. I’m self hosted so can’t use the ‘reblog’ button. If I remove it now will it work? Okay – I did that. Did it work? yes, just heading out the door, will be back to check it out soon! This would be a perfect post for Patti’s “Fun” challenge Terri! Thanks, Tatiana, yes this is for the Sunday Stills Challenge. I just had to play along with your orange topic. Beautiful pictures, Terri. I love your ring. Thanks so much, Robbie! I was lucky to find it! When I think of orange, I think of something to eat or drink, or the nursery rhyme ‘Oranges and Lemons.’ Such a horrid nursey rhyme given its subject but it is Halloween), but the winter orange sunsets and sunrises we get are very special. 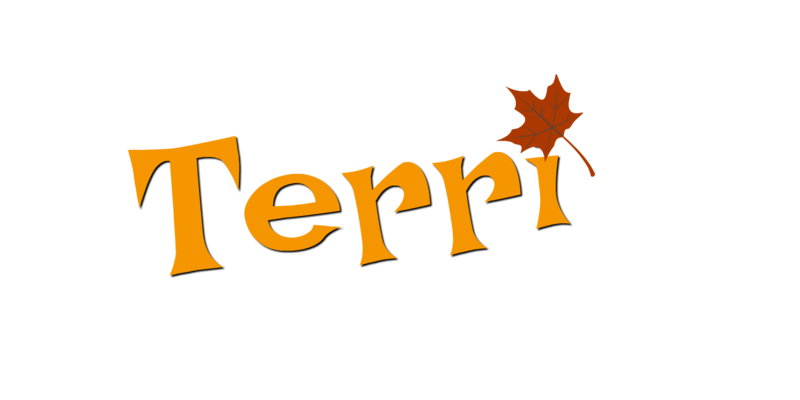 I hope the Autumn chill has finally reached your part of the world, Terri. We saved our extra hour last weekend, Terri. I still felt like I had jetlag the following day. The dogs had no idea what was going on. They were still up for their walk at the usual time, especially because the mornings have become lighter because of the time change. Enjoy your extra hour on the weekend. I just love that definition of the colour orange – it’s awesome! I enjoyed seeing your photos and my post has a range of orange shots too. We don’t really do the whole Halloween thing here but I love your pumpkin shots. And your ring is gorgeous! Thanks again for the challenge! I don’t wear orange because it makes me look sick, but I think the color is grand. Especially when viewed through your lens, Terri. I’ve got to browse through my photos to see if I have any that highlight this week’s photo challenge! More fall leaves would be great, thanks Molly! Nice set of photos Terri. Orange is such a cheerful color. Here’s my contribution: https://grahamsisland.com/2018/10/28/orange/, but then you already know that! 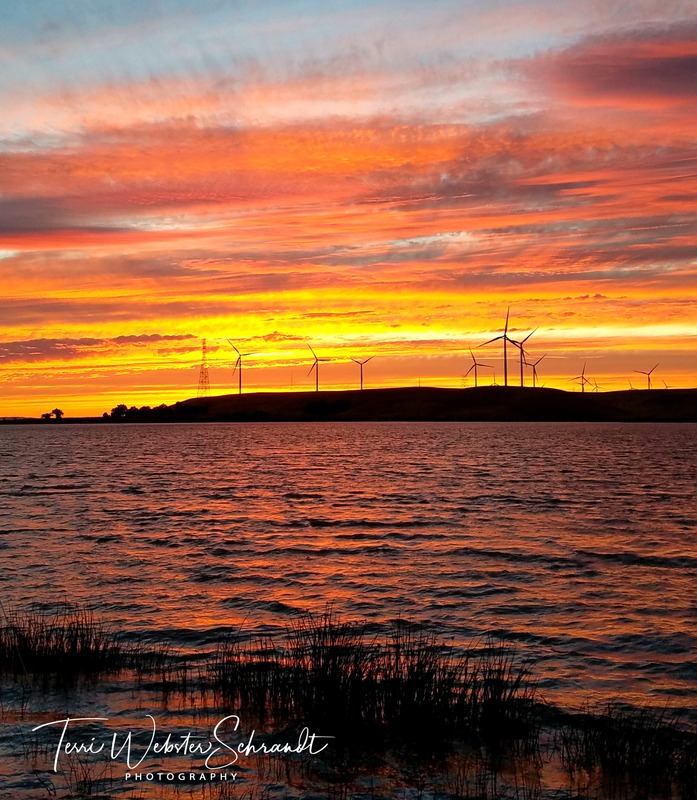 Ahhhh, Terri – Your bright orange photos instantly made me smile. Happy Halloween to you too! Orange is certainly a color full of energy! I love bright colors. I didn’t think of all the orange around us, not even the sunset, until I saw your post. It’s amazing how much is all around us, Aixa! I didn’t used to care for orange (I still don’t for anything I’d wear) but now I think of it as a joyful color and the perfect contrast for blues and purples. I love that we see so much of it this time of year – in nature and in decorations. Your ring is lovely! So pretty! I love the orange sky! Lovely photos, Terri and your ring is stunning; so unusual! Thanks, Susan! The ring was a lucky find and I didn’t want a traditional diamond! Beautiful photos! I can’t wait to see if I can find anything orange to take pictures of! Thanks, Shelley, I can’t wait to see what orange treasures you find! I love orange – it’s such a vibrant color, full of action and warmth. I also have several walls in an orange tone, maybe a bit more like paprika. And that wedding ring – now that is sensational! 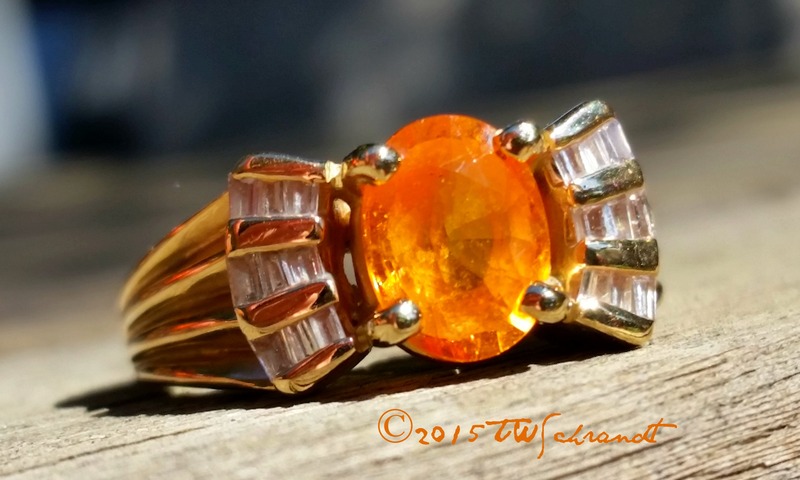 An orange sapphire is quite an original. Heehee, glad you could use that “orange” to add pun to your lovely comment, Shari! Your paprika walls sound amazing! I was lucky to have found this ring in a consignment shop! I love orange, but I would never wear it. Your ring is beautiful. Halloween has become popular in the UK over recent years, this year it is huge! Thank you! The Day of the Dead theme is really popular this year, too! What a gorgeous ring, and how nice for your shout out Terri!! I’m going to come back tomorrow with more orange color combinations in the link up! !